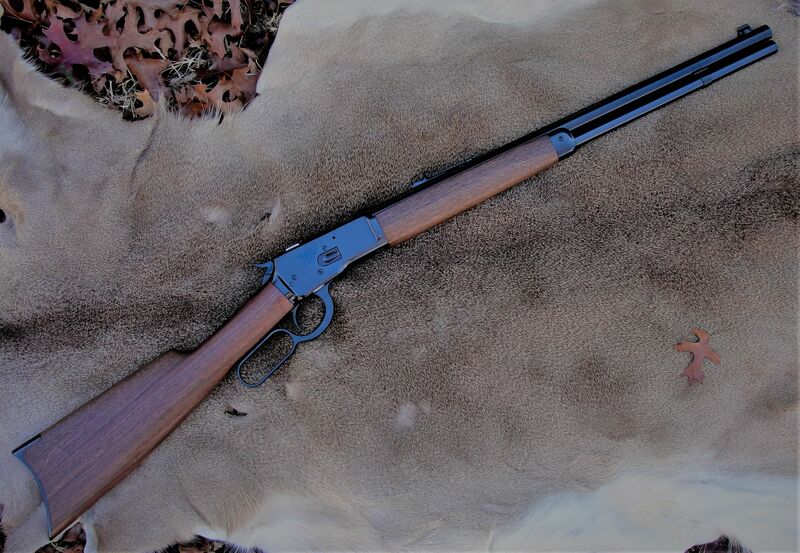 I have been wanting and looking for a new Winchester1892 rifle for some time that would fit into my budget. I would have liked one of the Italian replicas or one of the new Winchester Miroku rifles, but prices have kept me at bay. Finally, I found a Winchester Miroku short rifle in .45 Colt. It is a great little rifle to add to my modest lever action rifle collection. I havenâ€™t had the opportunity to get to the range to shoot it yet as it has been wet and cold but hopefully before too long. It looks as though it has been shot very little. No wear anywhere. Re: Persistance finally pays off. heck yeah, looks brand new! Buck ,, better hurry & get some " character " wear on that thing,, the new is goin'n blind folks . " LIKE " ,,nice ,, congrads !!! Very nice rifle, nice photo too. Just curious what kind of animal skin that is? LonesomePigeon, It is a Whitetail deer hide.